Hey guys, today we have the Roland FP30 in our sights. If you’ve wanted a piano in your home, but didn’t have the space or budget, we’ve found a solution. Check out what the Roland FP30 has to offer in our review. Roland made a name for themselves back in the 90’s with digital keyboards. Why does that matter since it was almost 30 years ago? Because they are still making a name for themselves with the FP30, and we’re going to tell you how. Let’s take a look at this impressive digital piano priced under $700. The FP30 includes Roland’s celebrated sound, feel and high-tech features in a quality 88-note piano that fits in home living spaces with ease. The 88-note PHA-4 standard action, with ivory-feel keyboard and escapement, is also very quiet compared to those of other low-priced portables. 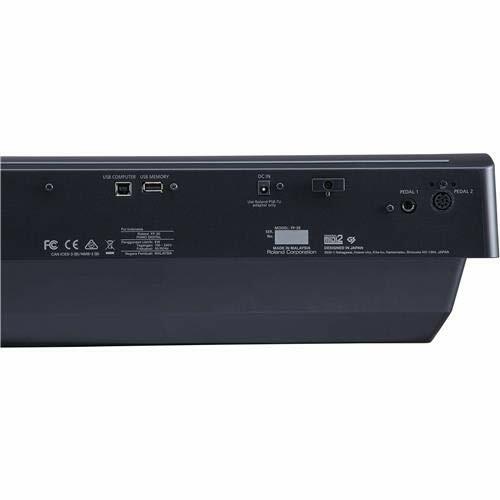 Being lightweight and portable, the FP30 is perfect for performers and classrooms. Built-in practice and recording functions, Bluetooth wireless support for music apps and numerous onboard sounds make the FP30 a nice fit for every musician. You’ll quickly notice the subtle note-to-note variations not found on competitors’ keyboards. With the variations in tone, Roland has captured the heart of a fine piano. Roland’s famous SuperNATURAL piano engine shows up again in the FP30. This powerful digital sound system brings fun and productivity to your jam sessions. Add in the available sounds of organ, strings, drums and voices for full concert effects. And that’s not all. Two 4.75” speakers and an 11-watt amp provide dynamic sound. Digital upgrades allow you to layer sounds with each hand. Music apps and USB support allow you to play along with your favorite artist or play side-by-side with your instructor. The FP30 allows you to record songs and save your SMF tunes on USB; play along for practice or save them to your laptop for later. After a long day, plug in the headphones and play away without disturbing family or neighbors. 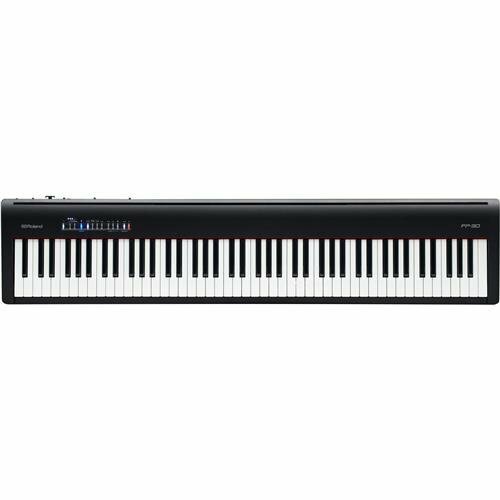 Roland’s claim to fame is the under 30 lbs., under $1,000 digital piano. The FP30 doesn’t disappoint. It’s Roland’s invention of a portable, fully weighted, 88-key piano. The super-clean design outweighs its competitors by 5 lbs., but that won’t limit its portability. Add in Roland’s suggested KSG-70 stand for less than $100 and you’re ready to set-up and play anywhere. If you opt for the 3-pedal KPD-70, you can use it to turn pages in compatible sheet-music apps such as Sheet Music Direct and piaScore using a pedal command. Now you have a classic piano look and enhanced functionality. The FP30 is available in black or white. The smooth, stylish look fits home decor, studio or stage environments. The best part? A compact, light design that is easy and quick to move wherever you play. Roland has given us another piano for performers and educators alike with the FP30. A few reviews I’ve read found some discrepancies in the FP30. Other instrument sounds besides the piano seem a bit unrealistic to some. Limited external outputs seem to be a real concern for several players. An approaching update will allow you to use the headphones without muting the speakers. Recording via USB and using some music apps were also mentioned as limited. All in all, not bad, and there are ways to work around most issues with a little creativity. Would these actually prevent you from purchasing the FP30? Probably not, but some things to keep in mind while you’re making the final decision. I can tell you all day long how great the FP30 is; but what’s the real story? Let’s take it from owners and every day users…. Well, there you have it; but what’s the catch? Only a great sounding, portable keyboard in the $700 price range. Today, you heard us sing the FP30’s praises, along with satisfied, happy owners and musicians. 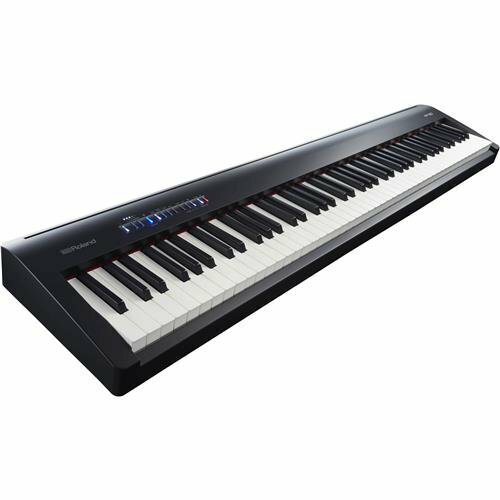 Compare the Roland FP30 with any similarly priced Yamaha, Casio or Kawai and you’ll be the next satisfied owner of Roland’s FP30.